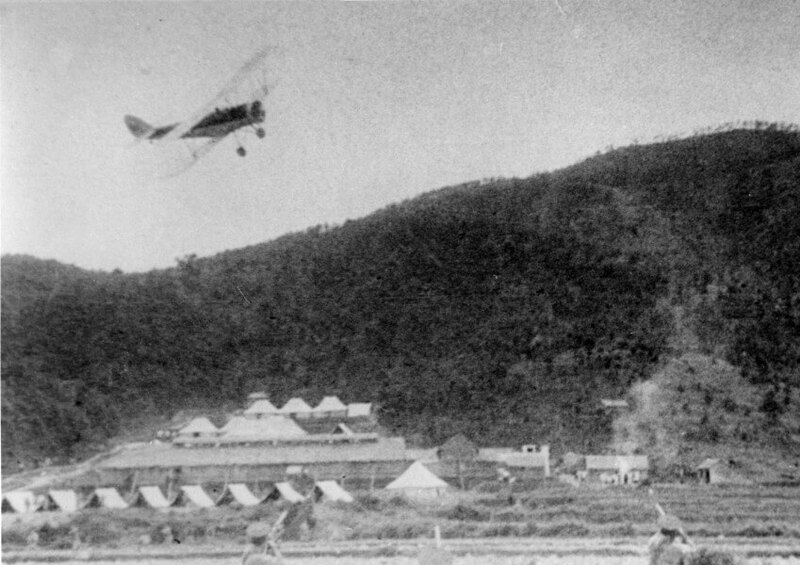 IDJ: Kwanti racecourse and the nearby military San Wai camp were used by The Hong Kong Volunteers during their training exercises. The following image shows one of their borrowed aircraft simulating an attack on troops who have their rifles raised to the firing position at the bottom of the frame. 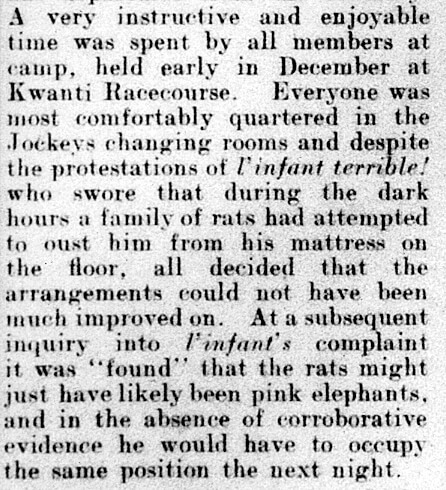 The text attached comes from the Volunteers Year Book for 1935 and indicates that it was not all work and they also played hard. More on the Hunt and racecourse featured including pictures in the book “At the Peak-Hong Kong Between the Wars” by Paul Gillingham, published in 1983. There is a book on the Volunteers By Philip Bruce which I think is called “Second to None” published around 1997. 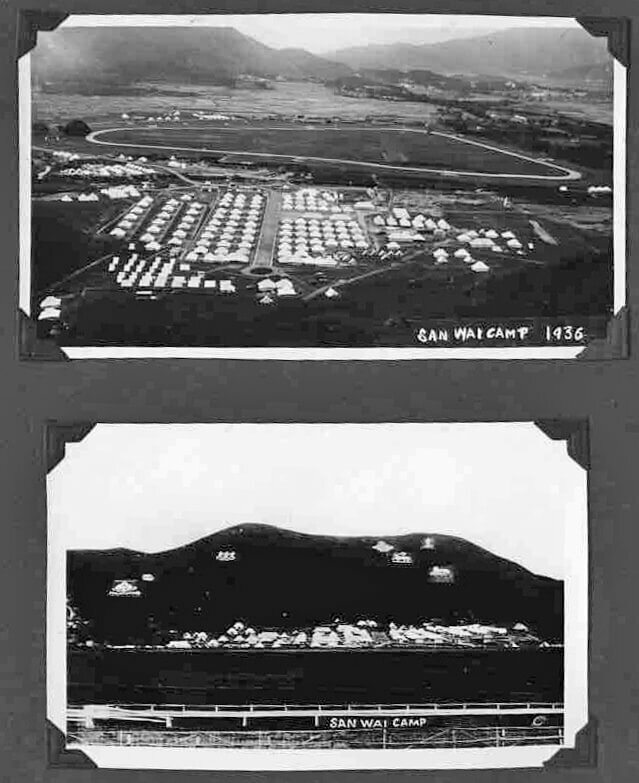 This also has Kwanti/San Wai Camp pictures if I recall correctly.